Today KIDLIT 411 is very lucky to interview children’s author, Alayne Kay Christian. Thank you, Alayne for agreeing to this interview and for being featured in our AUTHOR SPOTLIGHT! While I am waiting to hear back from my agent about my recent chapter book draft and a couple of picture book manuscripts, I am going through my favorite stories and revising them, concentrating on story focus, flow/pacing and word count. I do something associated with writing 7 days a week. This means, if I am not working on a manuscript, I am doing things like preparing submissions, writing a blog post, writing guest posts, doing critiques, reading books on writing, doing homework, doing research, or catching up with the writing community via the internet. A lot of my ideas pop into my head when I am in a relaxed state – for example when I am sleeping or first wake up in the morning, when I am in the shower, when I am taking a walk and so on. Sometimes, I wake up with a title or sentence that leads to a book. Many of my ideas come from my personal life. Some come from my granddaughter or my relationship with her, some come from my childhood memories, and some come from things I see and hear in everyday life. Sometimes, I’ll just hear a word, and something will click in my creative brain. I have said that I live my whole life as a writer because everywhere I go and everything that I do can present a story idea, as long as my brain is open to hearing it, seeing it, smelling it, tasting it. Ideas get a little tougher when it is Picture Book Idea Month. Forcing myself to come up with ideas instead of letting them flow naturally puts the pressure on. To break the block that the pressure creates, I like to follow Weird News on the Internet. I also like to follow news about science and animals. I like to come up with Picture Book titles and then let the story come from that. And sometimes, I go through my rhyming dictionary at random and make lists of words. Then I brainstorm on any words that seem to have a natural connection. What could your creative mind do with the following list of words? 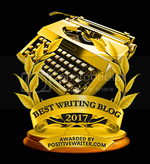 For me, the hardest thing to overcome related to writing was maintaining a positive outlook. Remaining confident in spite of critiques, rejections, and self-judgment. Once in a while, this challenge still creeps up on me, but it is much easier to recognize when it’s coming. Then I can refocus my thinking so that my writing experience can be what I want it to be – a joyful one. The easiest thing about writing is WRITING. I love it. Therefore, it is easy. You asked the question “What were you like at school?” I think I will answer part of that here. In school, at any level, if I liked a subject, I excelled at it. If I had no true interest in a subject, it was a struggle for me to focus or get decent grades. So, I repeat: I love writing. Therefore, it is easy. Yes. However, I don’t get writer’s block very often. My most recent experience with writer’s block was when I was writing my chapter book. I believe it was a little like the pressure I feel during Picture Book Idea Month. I am a “panster” when it comes to creativity. My stories normally just flow out of me naturally. In the case of the chapter book, I got to the point where I was trying to “make” something happen, and the harder I tried, the more blocked I became. So, I stepped away from the story for a while. I read some craft books to help clear my mind. And every morning, before I got out of bed, I pondered the story. I thought about the characters, I thought about the scenario, I thought about the big story problem and the underlying theme. None of the thinking was to push anything, it was just a relaxed natural flow of consciousness. And little by little, the part I was stuck on started forming itself until I was ready to write again. I had a similar experience with a recent picture book. I loved the story, but woke up one morning, realizing that I had no idea what the heart of the story was. I left the story waiting, until the answers gradually came to me in my relaxed morning state of mind. And I am back to working on that manuscript, feeling much better about it. I just had the pleasure of reading Teresa Robeson’s short story UNFILLABLE VOID in the anthology OUT OF TIME: FIVE TALES OF TIME TRAVEL. I enjoyed it very much, and look forward to reading the other stories in the anthology. I just finished two excellent books on writing. These two books had a major impact on me. I believe my writing will benefit greatly from the knowledge I have gained. They are the best craft books I have read in a long time. However, I think these books are better for writers who have gained a good deal of experience with story development. I think for beginning writers, it might be better to start by reading books that give the nuts and bolts of writing, editing, submitting, etc. For example, those interested in writing picture books might want to read, Ann Whitford Paul’s WRITING PICTURE BOOKS: A HANDS-ON GUIDEFROM STORY CREATION TO PUBLICATION. Or Linda Ashman’s THE NUTS ANDBOLTS GUIDE TO WRITING PICTURE BOOKS. Kidlit411 has many other books listed under Resources. Because I am a “panster,” my first drafts generally need a lot of editing. In that case, I generally keep at it until I feel like I have taken it as far as I can. If I have writer’s block or there is something about the story that I am not connecting with, I might let it sit until inspiration to work on it hits me. When my manuscript makes the rounds in my critique groups, I will generally put it away while I noodle on all the different comments. Once in a while, I send the manuscript through a round of critiques, and I only get suggestions for minor changes. In those cases, I will edit right away, so that the story is already improved for the next round with a different critique group. I have some manuscripts that I have been working on – on and off – for about 8 years. I trust that one day, things will connect, and the story will be ready for critiques. By writing – ha! Just kidding – sort of. I do get lost in my writing, which I find relaxing. But sometimes, I need a break. My favorite thing to do is spend time with my husband. We might sit by the fire, or relax in the spa, or go sailing, or sit on the dock by our sailboat. I love the nights at the marina. I also enjoy time with friends in good conversation and laughter. When I really need to get away from it all, I journal, and I meditate or listen to relaxation/self-hypnosis type of recordings. I think I could write a book on advice that I would want to give to other writers – a kind of what I wish I had known when I first started thing. Anyway, the first thing that popped into my mind is what I will share today. Do not be in a hurry. 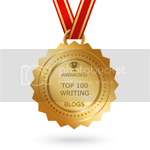 I don’t want to discourage any writer from submitting because there are some people who are new to the writing scene who find success in achieving publication in a very short time. However, I believe that this is rare. I know it is tempting to jump right into submitting, but I caution you to take your time. Learn your craft, and learn it well. If you can afford it, take classes, get professional critiques, and read, read, read. Be sure to join a critique group. Immerse yourself in the writing community, and learn from those who have already learned from their mistakes. It is not a race – it is a journey. After about the third grade, I was a rebellious ringleader. Things were a little different in college, of course. As I said earlier, if I liked a subject, I was 100% committed. I loved Biology, and could have spent the whole day in that class, but that’s not how school works. I can’t remember what kind of grades I received in English. However, I do remember that my fifth grade English teacher called me Allen the whole year. I figured what did she know when she couldn’t even figure out how to pronounce a person’s name? I really didn’t see the value in English until English 101. This class ended up being more of a creative writing class, and I finally understood what grammar and punctuation meant to me. I ended up in jobs that required writing various papers, memos, and newsletters. And I learned to appreciate what teachers were trying to drill into my head all those years. I’m not sure I have a favorite, as there are so many good ones. So, I will go with the first one that popped into my head. Maybe it is because I’m a Chicagoan, and I remember the Michael Jordan glory days, but I always find the following to be a wakeup call when I am feeling defeated or when I’m wishing for the easy way. ALAYNE KAY CHRISTIAN is an award-winning children’s book author, a certified life coach, and a blogger. Her independently published picture book, Butterfly Kisses for Grandma and Grandpa, Blue Whale Press, LLC, received the Mom’s Choice Awards gold medal and an IPPY Awards silver medal. She is a graduate of The Institute of Children’s Literature (ICL) and the founder and administrator of Sub Six, a Facebook group intended for supporting and motivating picture book writers with their submission goals. Last fall, she signed with her dream agent, Erzsi Deak of Hen&ink. She resides in the Dallas, Texas area with her husband of thirty-two years. I loved being able to take a closer look at your thought and writing processes, Alayne! I can't see your calm and wise self as rebellious. That made me giggle thinking about it. Regarding " I loved Biology, and could have spent the whole day in that class, but that’s not how school works. "...it's interesting but that's exactly how homeschool can work. I a kid is passionate about a topic, we can let her study it exclusively for as long as she wants, and work in all the other subjects around it (you can get in language arts, history, geography, chemistry, and even math and p.e. while studying biology, or whatever the topic may be!). Teresa, You saying that imagining me as rebellious made you giggle made me giggle ;-) How's that for a sentence? I did enjoy your story, and I did just finish reading it, so why not share? Wow, that homeschool thing is interesting. It sounds like I would have done much better, academically, with homeschooling. But then, I wouldn't have had as much fun causing trouble - ha, ha. Great interview, thank you! I DO find Alayne very motivating and inspiring. Mostly I think, "How on Earth does she fit it all in?!" Alayne is a rock star! Thanks so much for doing this interview for us! kidlit411 rocks, so it was my pleasure to do the interview. Thank you for inviting me. Great interview. Loved this advice: Do not be in a hurry! And I loved that you underlined it. It is so important. Rushing, as writers, will only slow us down! So true, Penny. I never thought of it that way. In the long-run, being in a hurry actually can slow progress. Excellent point. Thanks for sharing, Martha. Awareness is a great place to start as a writer, and it seems you are very aware of the steps that will work for you in your journey. Taking those steps will form a strong foundation to build upon. It's like the difference between building a house out of straw or building a house out of brick. We all know what how that worked for a couple little pigs. Congratulations on beginning this exciting journey - you will do great. Alayne! Thank you! We actually had that Michael Jordan quote on a bulletin board in our school during his heyday. It was very inspirational for the whole student body. Thanks for reminding me of it today, and that it is still inspirational for me! Juliana, I'm glad that the quote brought back some nice memories and some renewed inspiration. Thank you Alayne! This was a great interview and I especially like your advice to not be in a hurry. There is so much to learn in the business of writing for children--much more than you think when you are just starting out! You hit the nail on the head, Kirsti. It can be quite surprising to find out how much there is to learn once you dip your writer's toe in the water. Thank you Alayne, for the interview. I can't wait to check out some of the books you recommended and I'll be buying a copy of "Butterfly Kisses for Grandma and Grandpa" for my grandson for Valentine's Day. I can't wait to read it. So, sweet Dori. Thank you. And happy reading. Thank you Alayne for sharing your thoughts. The Michael Jordan quote is perfect. Glad you like the quote, Sylvia. Thank you for taking time to read my interview and make a comment. Also, thank you for all the hard work you do with kidlit411. Uplifting post with great go-to references. And LOVE the Michael Jordan inspiration. So glad you found it uplifting, Jan. It is great to see even those, like Michael Jordan, who make success seem easy are not without struggle. Makes it a little easier to get ourselves up, brush ourselves off and start all over again. Goooooo, Alayne! I am in your cheering section! Thanks for sharing what is most valuable to you! Thank you for the cheer, Carrie. Alayne, you are so right in the a relaxed mind is a creative mind. Glad you like the prompt. It is so simple but can produce some interesting and sometimes promising results. Great interview, Alayne! I'm saving this in a folder. I'll have to grab those two books. Great Jordan quote. Thanks for sharing. I think you will enjoy the books, Robyn. So glad you like the interview and quote. It was great learning more about you Alayne. Your love of writing comes through so well. I somehow never saw you as a pantser before. You didn't mention anywhere that you are a great supporter of fellow writers! Awww, thanks, Yvonne. I do try to support, but it is a tough balance. One that I fantasize I will achieve one day - it's almost like one for me - two for you. But sometimes I feel like it is five for me - two for you. I am so grateful to belong to a writing community that exemplifies supporting each other, and you are a perfect example. So glad to know you. Alayne, you have such a calming effect on me. I am ALWAYS in a hurry, so I take that nugget of advice to heart. I truly admire your dedication - you're my writing role model! Thank you, Renee. And what a coincidence, you are one of my writing role models.